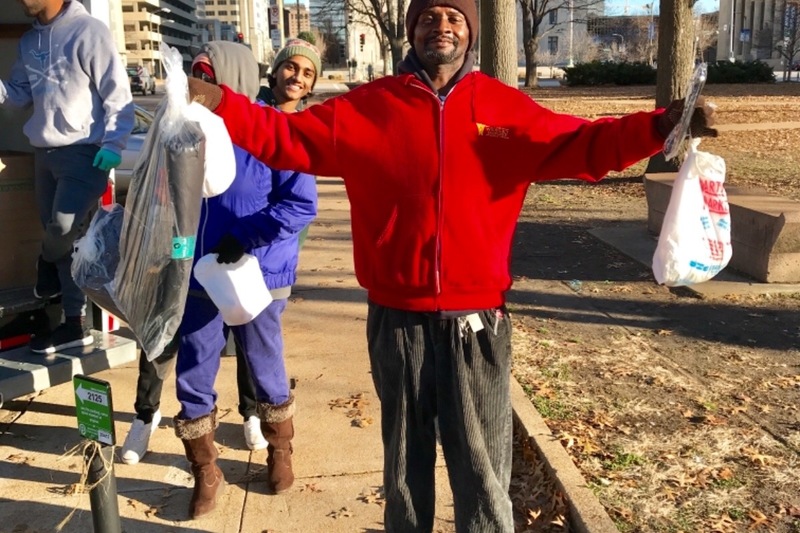 Project Downtown St. Louis Winter Outreach 2018-2019. “I was so cold I wanted to die” Steve said, as he recapped what sleeping under a bridge that previous night had been like. It’s no secret that we have a homelessness problem here in St. Louis. There are thousands of people competing for a place to sleep at local homeless shelters every night as the temperature plummets below freezing—and the ones who don’t make it, like our friend Steve from Project Downtown, have to try to survive outside. There are hundreds of men, women, and children in our city that have experienced the torment of a subzero night with little to no high quality clothing. Our organization is driven by compassion. News headlines last winter compelled us to action this year. 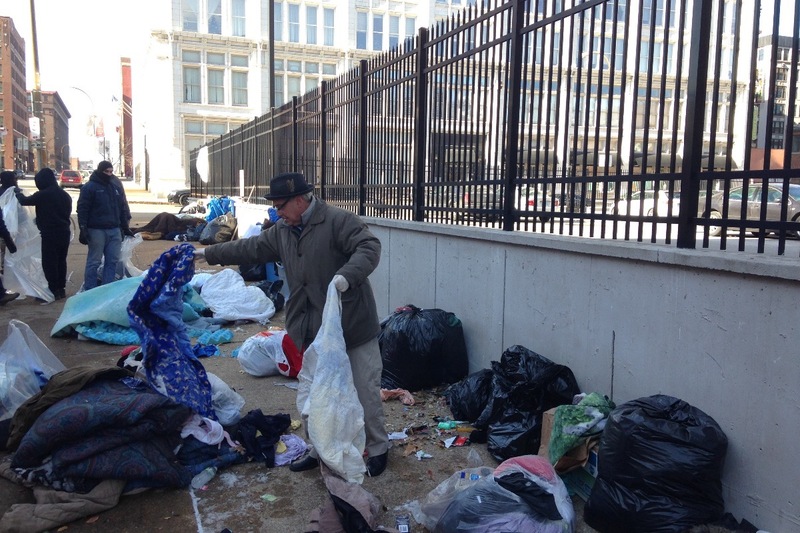 The stories of a 54-year old homeless man who was found dead, frozen inside a dumpster behind an apartment building, on New Year's Day grieved us all deeply. Also, just days before Christmas, Grover Perry, another homeless man, was found dead in a port-a-potty where he had been living for weeks. 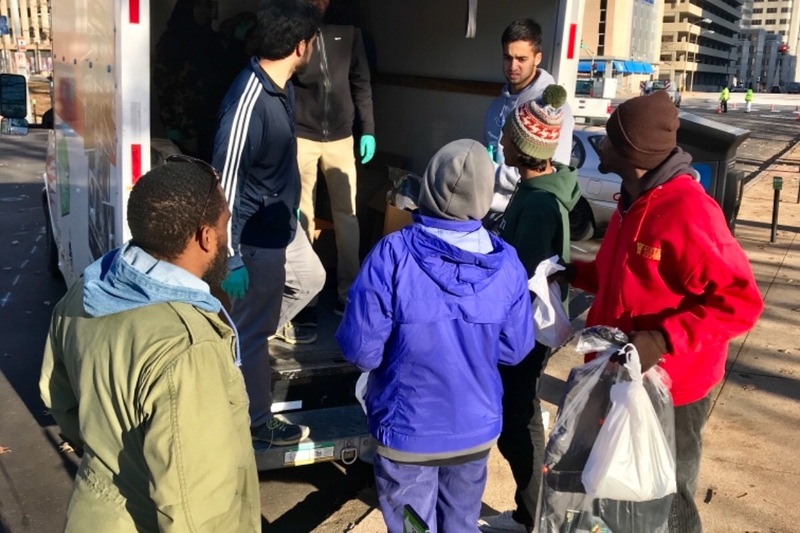 Stories like these remind us of how blessed we are and motivate us to make a difference this winter to honor these people who have frozen to death in the alleyways, overpasses, dumpsters, and port-a-potties of our community. We, at Project Downtown St. Louis, intend to help with this problem in a unique way this year. Typically, we ask donors to go into their closets to find clothing that they would like to donate for this cause, but we have decided to improve our efforts. 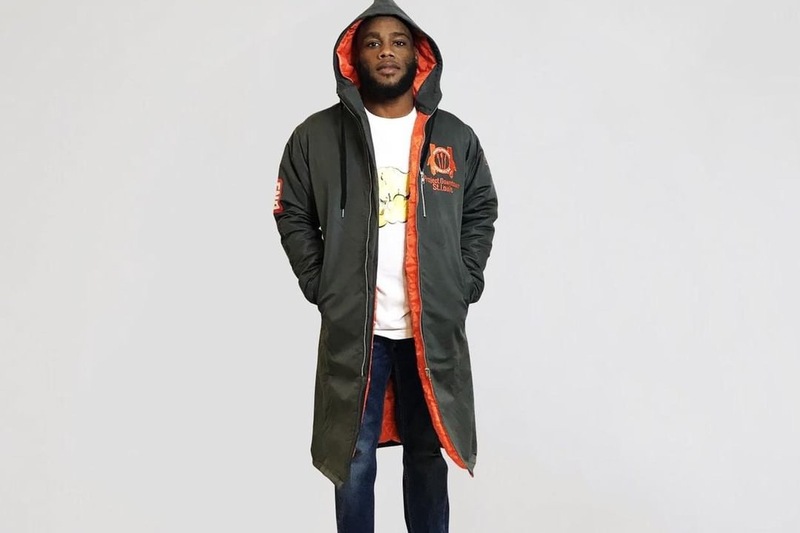 Through a direct partnership with a manufacturer we have been able to create special knee-length coats for the homeless this year. These coats are durable, water-resistant, wind- resistant, and double-insulated for bitter cold b temperatures well below 10 degrees. The longer length, hood and pockets have been specifically designed to be able to function as a full body covering on nights like Steve described last year. This is where you come in! 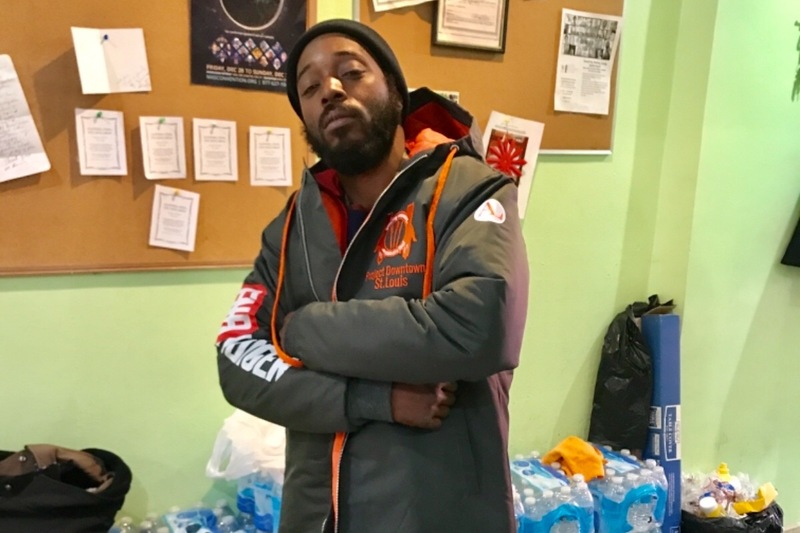 We have committed to providing 200 of these specialized winter coats to the community this year and we need your help to do that. Each coat costs just under $40 which brings our total financial investment for this project up to $8,000! We would like to encourage everyone to consider the poor this winter. As you reach into the back of your closets for your own winter coats this season consider the hundreds of people just like Steve who may be sleeping outside with nothing but a too small, hand-me-down jacket with broken zippers. Consider donating to Project Downtown St. Louis before this fiscal year comes to a close to make a difference and possibly save someone’s life this winter season through our 2018-2019 Winter Outreach efforts. To learn more about us, visit PDSTL.ORG. Thank for donating. Here is the picture of the coat zipped up with pockets. 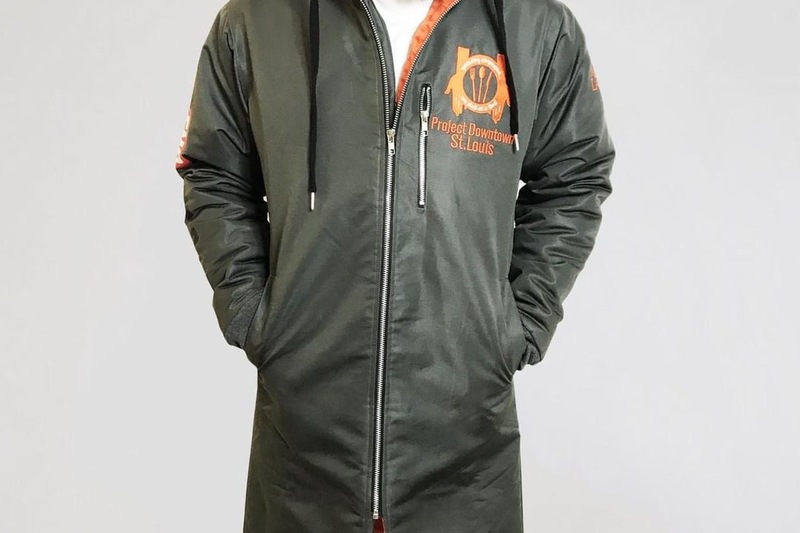 Here is the picture of the coat with the hoodie. 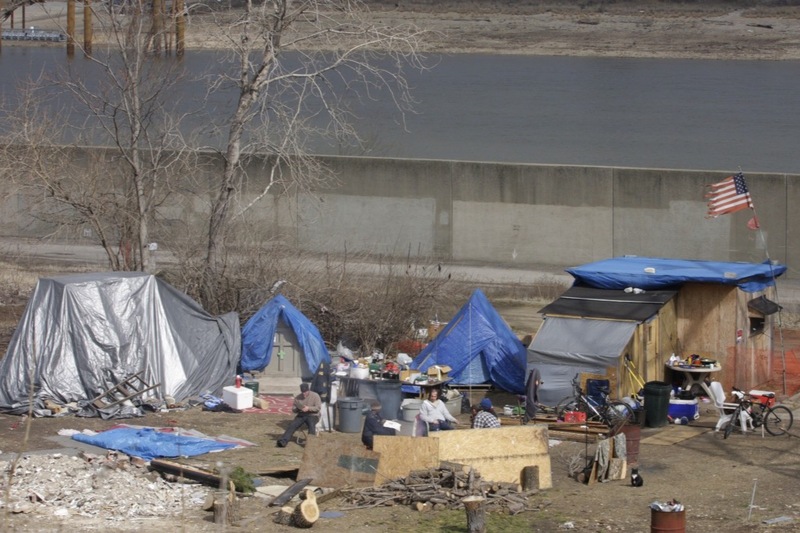 This is the condition of the homeless people in Saint Louis. Thank you so much for making a donation to our special winter coat drive. We were able to collect enough funds and make 200 coats. We passed out the coats right before the big winter storm. We added hats, socks and gloves along with the coats. Each and every person that received the package was filled with joy and they personally wanted to thank you for your generous donation and thinking of them. Once again, thank you so much for being part of PDSTL family. We hope that you continue to make a donation to our organization so we continue to help those in need. Please visit our website to learn more about us or make a small donation at PDSTL.ORG. We have added few pictures here but to get a link to all of the pictures, please subscribe to email and we will send you a link.